With all of our favourite social media platforms well and truly bedded-in for the duration, for better or for worse (today I'm honing in on the 'better'), it seems that everyone and their dog, literally, and even the odd guinea pig, is now the curator of their own window to the world. I can't complain though, as both of my cats are a regular feature on my feeds - gotta love 'em! It's exciting, right? 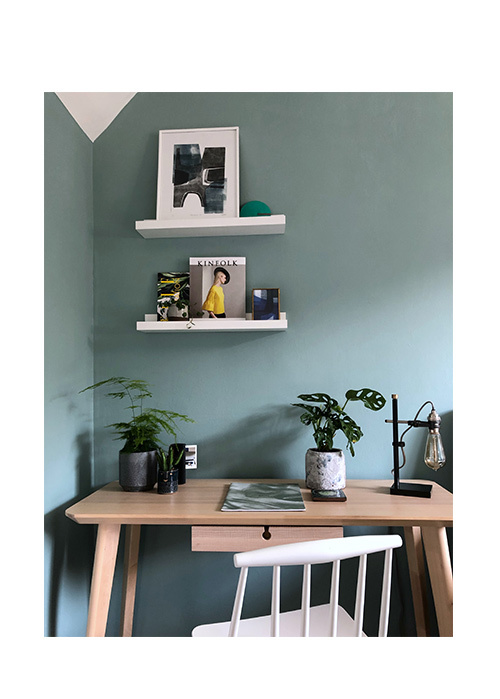 You've just created your very own cute corner piecing together some of your favourite homewares and props, and you want to release it into the world. Post and wait for the feedback! The 'Shelfie' might be a relatively new phenomenon but it's basically another version of what proud homeowners have been doing for hundreds of years: showing off. 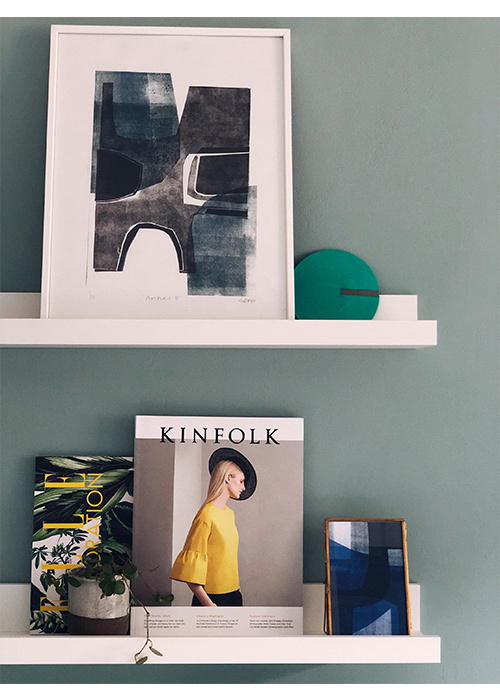 Putting together a composition on a shelf is also one of the easiest styling tricks in the book for adding an extra layer of background detail to a room, or it can make a strong standalone feature. 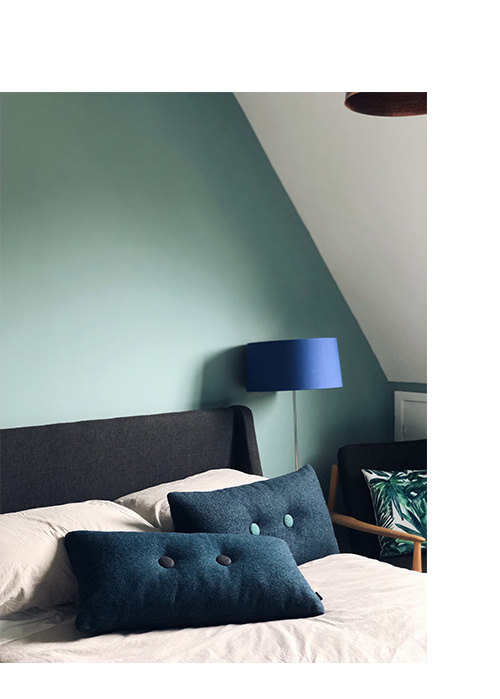 Personally I'm a fan of both the 'less is more' and the 'maximalist' approaches to interior styling, (cautionary note): just be mindful of overcrowding with the latter 'look'. Having completed our home renovations indoors and with just the front garden remaining, I've increasingly found myself in the indulgent position of now being able to add layers of decor detail to newly decorated rooms, and a simple shelfie is definitely the way to go for me. 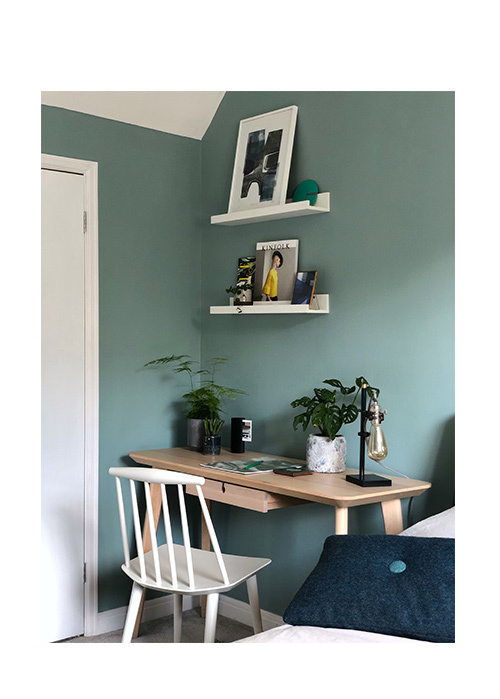 Our largest guest bedroom also doubles as a workspace (we didn't want to give over an entire room for work) and whilst Farrow & Ball's Dix Blue adds a nice mid-depth of colour, I wanted to elevate the room with additional details. 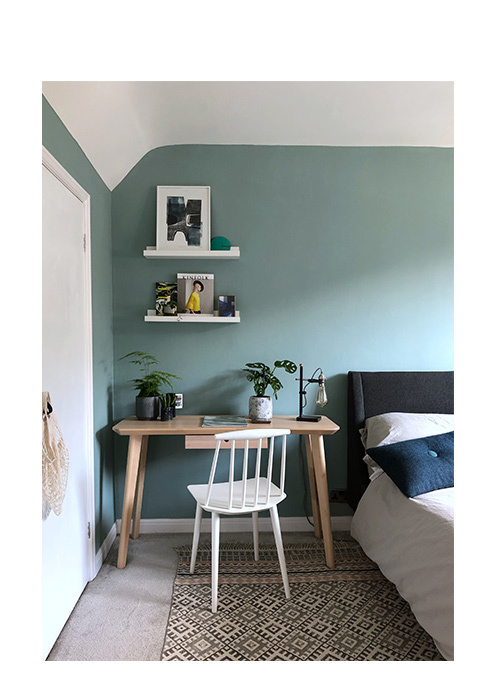 IKEA's Mosslanda picture ledge came to the rescue by offering a crisp white contrast to the wall colour and helping to zone this part of the room into a study area. However, I've ditched the opportunity to use these two ledges for practical reasons and opted for a more aesthetic curation of objects, plants and artwork instead. 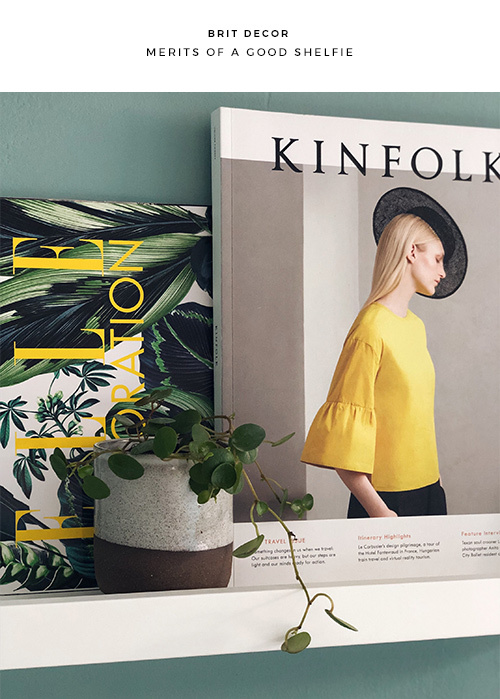 The Creative in me couldn't resist working-in corresponding greens and blues with a pop of trending yellow but I know that in an instant I can switch things around and have a brand new shelfie - it's as easy as that!